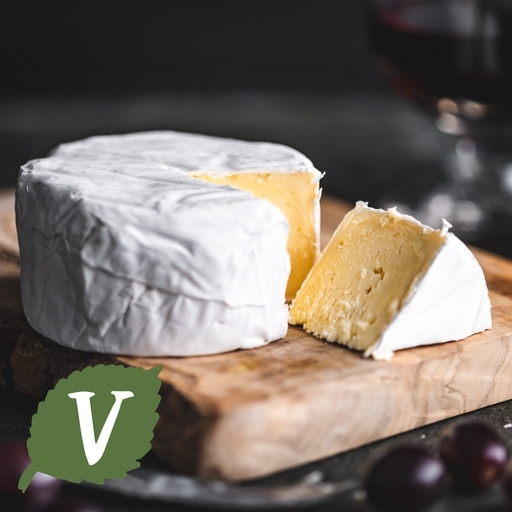 Velvet-soft organic brie with a rich mushroomy flavour that intensifies with age – if you can wait that long. This brie is handmade in small batches by the Adams family in the lush valleys of South Wales. Definitely one for the cheese board – though it pairs just as well with steak or a pile of roasted veg. Caws Cenarth was started over 25 years ago by Gwynfor and Thelma Adams. Making cheese from the milk produced by their herd was initially a way of ensuring that they would not go above their allocated quota of milk. But the venture was a huge success and, today, Caws Cenarth is run by their son, Carwyn, who is just as passionate about the enterprise and about making great Welsh cheese as his parents were. Pasteurised cows' milk, salt*, vegetarian rennet, starter cultures.